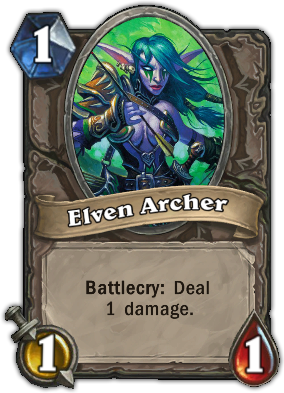 Description : Battlecry: Deal 1 damage. Quote : Don't bother asking her out on a date. She'll shoot you down.